Tom has had a low key personal Instagram for a while but we are now making it official. 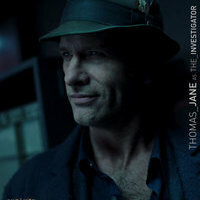 Whist we go through the verification process etc (im also attaching it to the site and Tom will add to his Twitter hopefully) he can be followed on Instagram here https://www.instagram.com/cardcarrying_thomasjane/ He has not posted in a while but we are going to be changing that and putting more out there in relation to upcoming projects. I've also done a blog highlighting the only official social media account's for Tom, Tim & RAW which can be found in the NEWS section here I've not included Facebook here for Tom or Tim but have included the RAW one. I agree, there are a lot of loose cannons out there and some we already have our sites on. Rest assured the ones we have listed are the real deal. Well, well, well...the man does play things close to the chest, doesn't he? Definitely gonna hit his follow button. LOL, Put the word out. The direct link is also now embedded into the footers on the website making it more formal in a bid to get everything verified. Will do! Hopefully he'll get verified soon. I second that! Also, thanks for following my Insta Rosella! I enjoy following others with similar interests as well, so keep the posts coming ps. I've had a few fake TJ's message me.. I put a stop to it quickly.. imposters! My pleasure, Davvi!!! & thank you for following me back!! Likewise. The nerve of some people! I haven't been messaged by any fake TJ's, but I have been followed by several. I just report 'em, too. We can only report the fakes as fake once the account is verified but rest assured we will once done. Sorry, I should've been more specific. I was referring to fake Twitter accounts. I can only think of one fake TJ who has ever followed me on IG in all my years of being on there; he was promoting THE PREDATOR at the time, so I let him be. I imagine more will continue to pop up once TJ's official presence is known more widely on it. Go figure. If there is one thing I do know is that I cant figure that out. I get social media but at the same time dont lol. Checked out TJ’s page, loving what he’s posted and his comments are so funny! Please tell me he’s not going to abandon us in favour of social media...... I’ve not signed up to it yet as I have a bit of mistrust where that’s concerned ( probably ‘cos I’m old!) but sooooo tempted! Have no fear. Anything that goes up there will be present here. I get where your hesitation comes from, but Instagram is actually one of the better social media sites. Feels less negative on there, & you get to enjoy looking at pretty pictures of your interests & admirations. I agree completely with Rosella. Out of all of the many platforms Instagram seems the nicest and most secure. IG does have its fair share of scammers/fake accounts/negative comments, but those are easy to block & ignore. It's several steps above Twitter, which has become a place where having an opinion on just about any topic will get you trolled. But you can always set your account to private on any social media site you decide to join. If you're interested, that is. No pressure.